LaGuardia Terminal Evacuated When Man Falsely Claims He Has Bomb After Argument Over $50 Bag Check Fee - Joe.My.God. 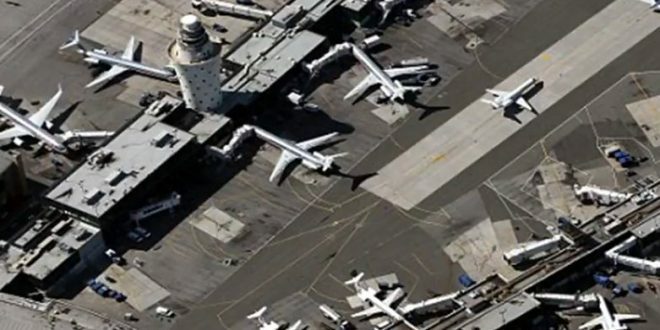 A traveler furious over a $50 bag check fee at LaGuardia Airport claimed to have a bomb Saturday morning — prompting an evacuation and flight diversions, Port Authority police said. The man was checking in at a Spirit Airlines counter in Terminal B around 7 a.m. when he was told it would cost him $50 to check his bag. The traveler refused to pay the fee. After arguing with the ticket agent, the man stormed off leaving the bag behind. When the ticket agent said he couldn’t abandon the bag, the furious traveler claimed there was a bomb inside. He was taken into custody while the Bomb Squad looked through his bag. His name was not immediately released and charges were pending. Flights were diverted away from Terminal B and several screening checkpoints and pre-security areas were closed and evacuated for two hours. Many travelers complained little or no information was given out during the evacuations, sparking mass confusion.